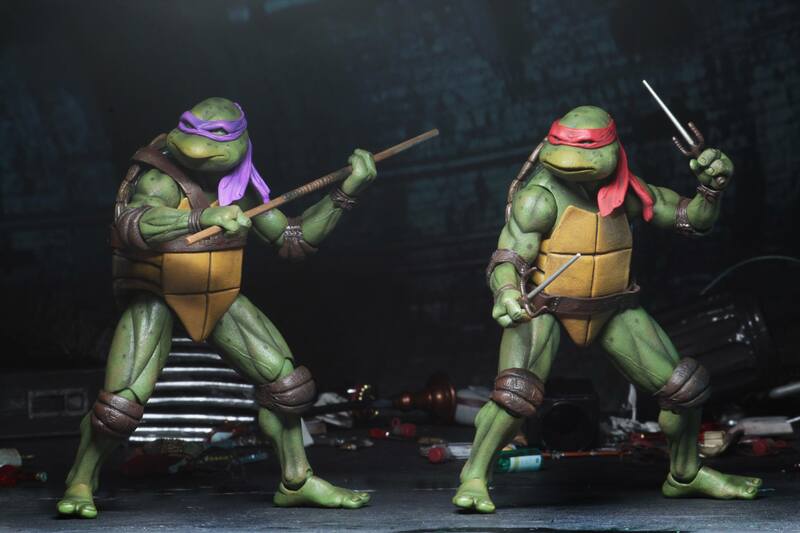 NECA Toys has released the full details and new photos for their upcoming San Diego Comic-Con 2018 Exclusive Teenage Mutant Ninja Turtles 1990 Movie 7″ Scale Figures. 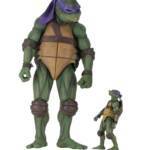 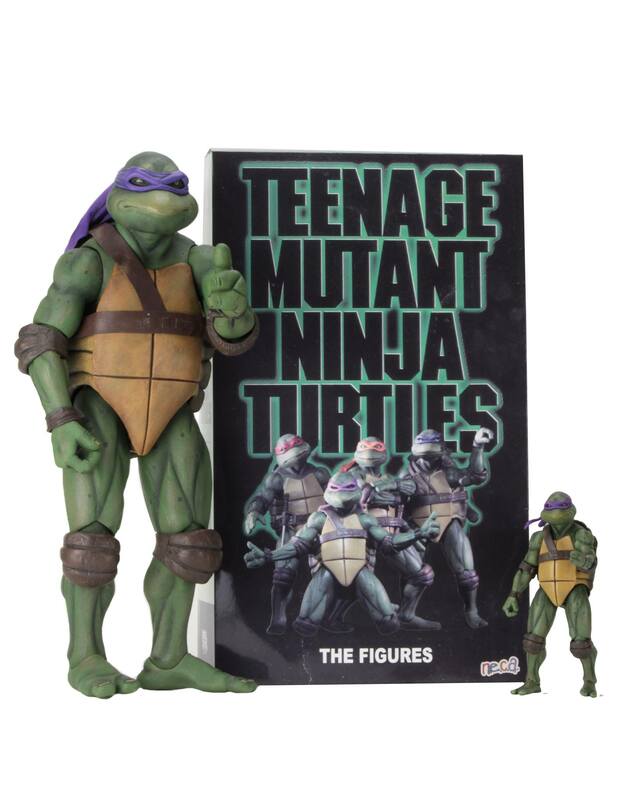 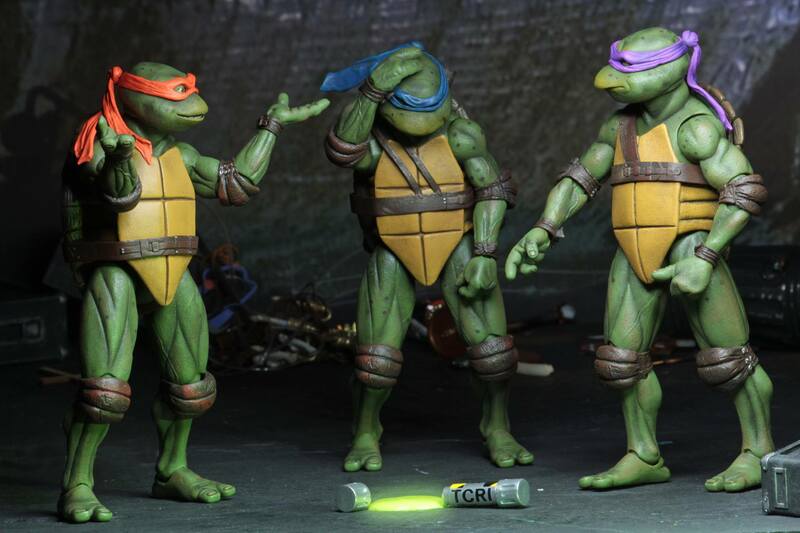 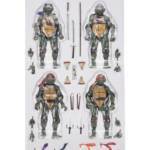 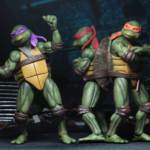 The set includes scaled down versions of the popular 1/4 scale TMNT classic movie figures NECA has released. 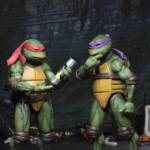 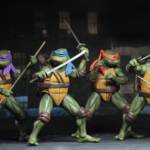 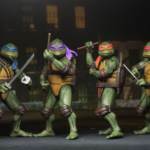 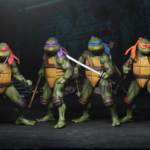 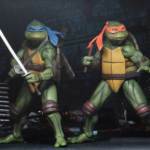 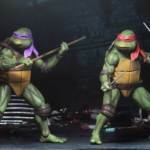 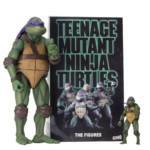 Leonardo, Michelangelo, Donatello and Raphael are all present, along with a number of accessories, such as interchangeable hands, pizza, swap out plastic and fabric bandanas, and more. 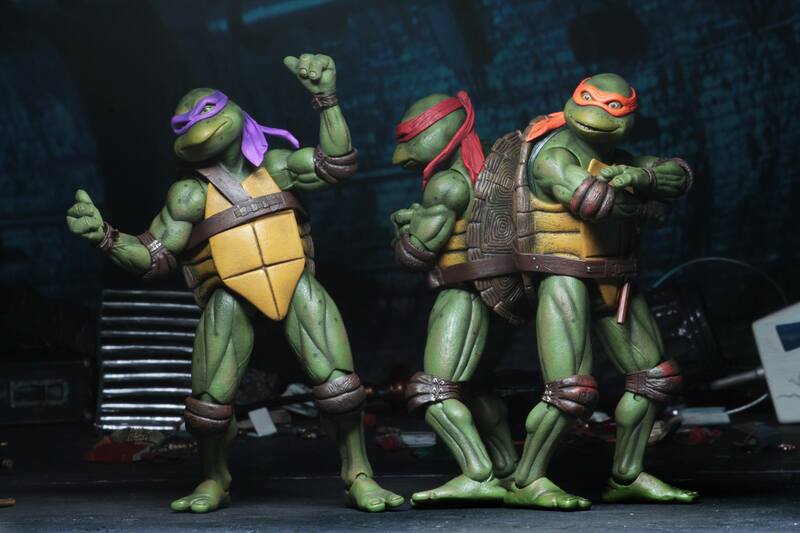 The figures will also have more articulation than the 1/4 scale versions! 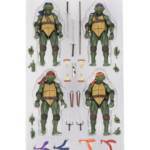 The set is priced at $125 and is limited to 5,000 sets. 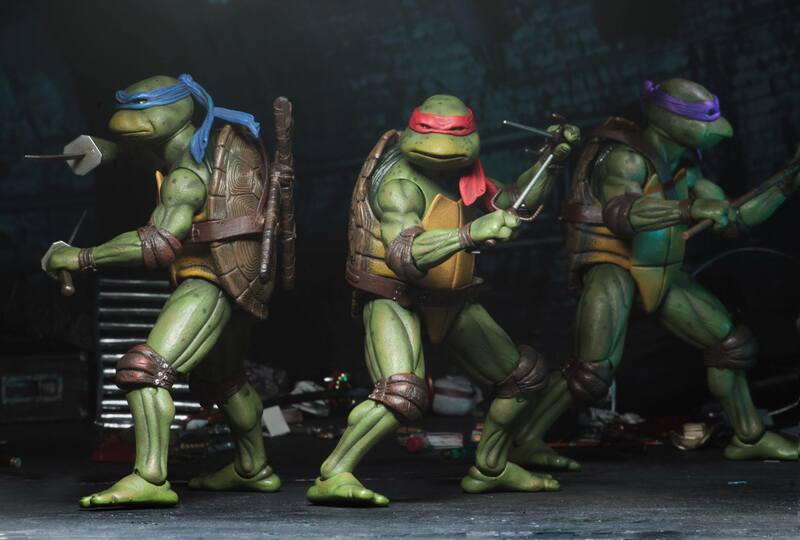 After the jump, check out full details on the NECA San Diego Comic-Con 2018 Exclusive sales, as well as the full gallery of this great set. 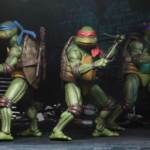 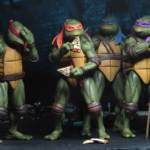 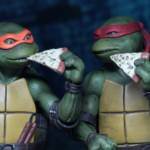 NECA always has some amazing reveals for TMNT! 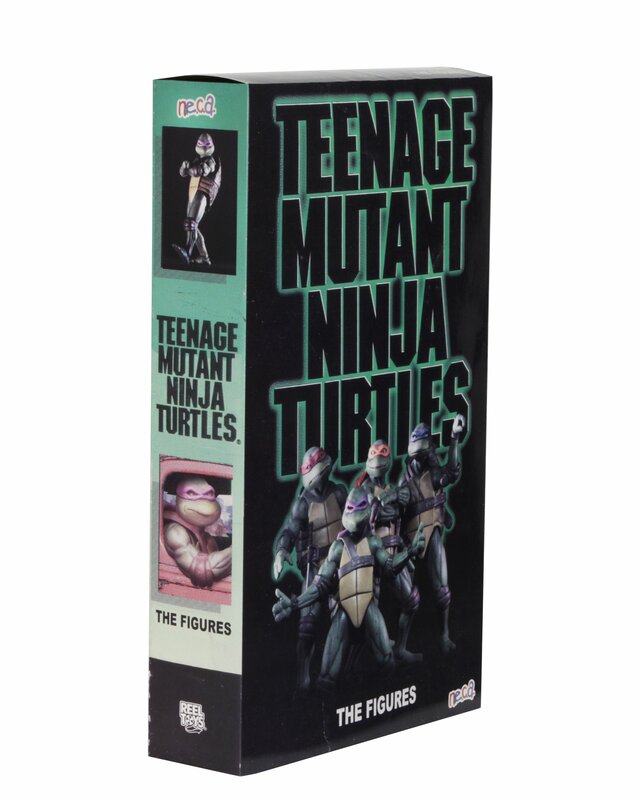 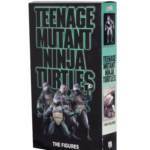 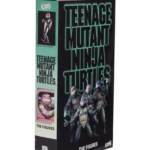 This one will be the definitive, must own TMNT set in my opinion. 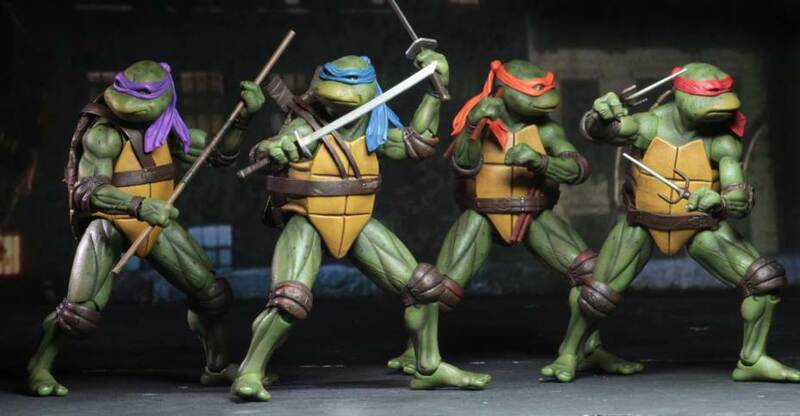 I�m thinking that we�ll get 7� versions of: all 4 turtles, the accessory pack, and 1 level of the dio. 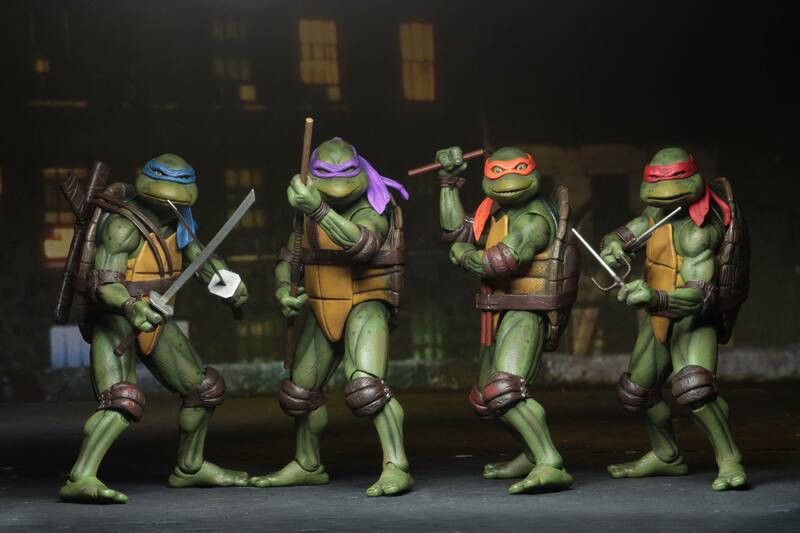 I highly doubt that Foot or Shredder will be in this set since the 1/4 scale versions haven�t released, but maybe next year or NYCC they�ll add them. 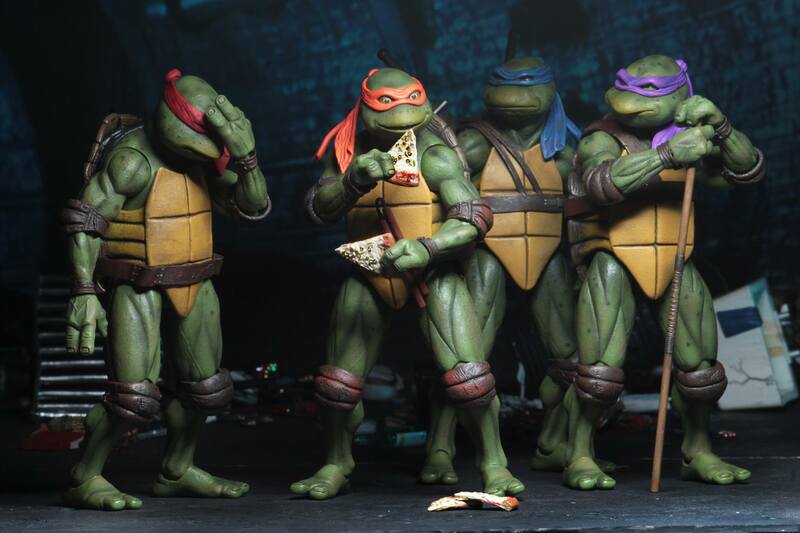 However, since all these were already sculpted in 1/4 scale, I wonder if they�ll add 1 all new figure, like April. 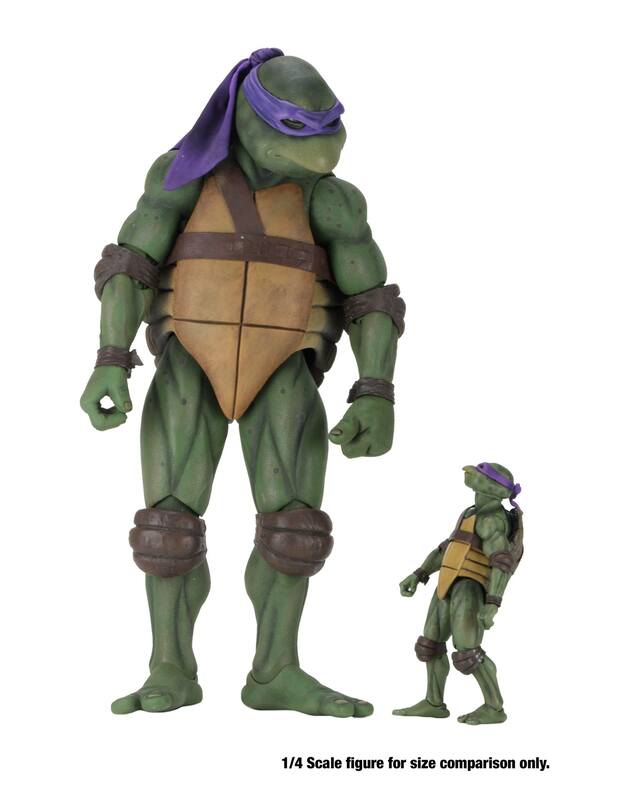 She is one character that I think would be awesome in 7� scale, but maybe not so much demand for 1/4 scale. 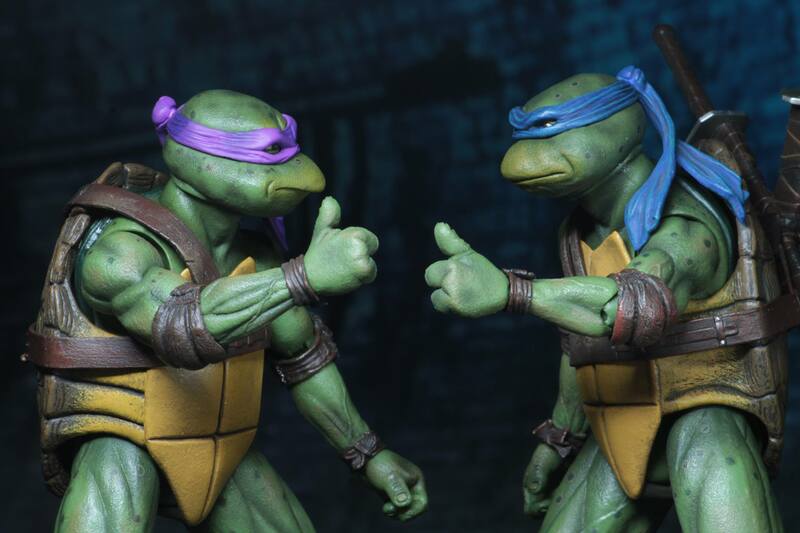 Maybe they could find a way to reuse a sculpt from Ripley or another similiar build female figure. 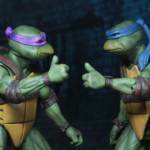 Either way, can�t wait!!!! 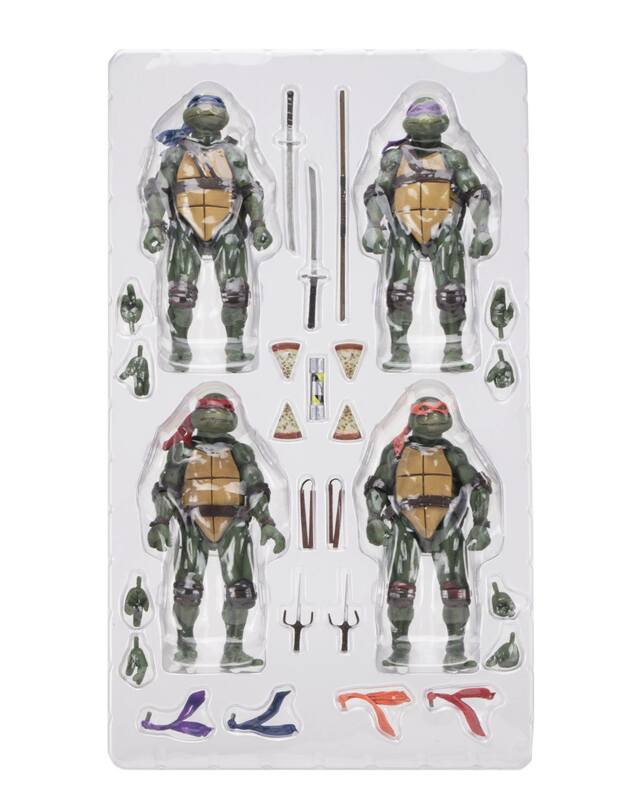 As awesome as it would be to get all that, I just don�t see diorama pieces being included in this set. 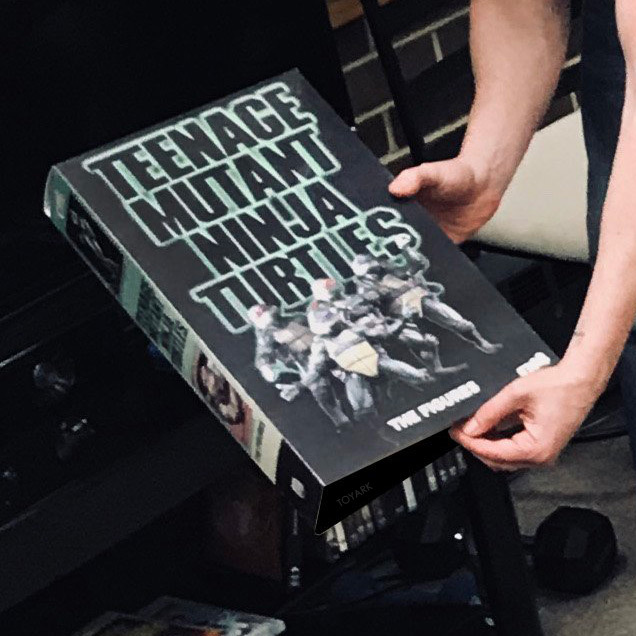 The box in the teaser pic isn�t that thick and even one level of that dio looks to be pretty substantial as far as the size goes. 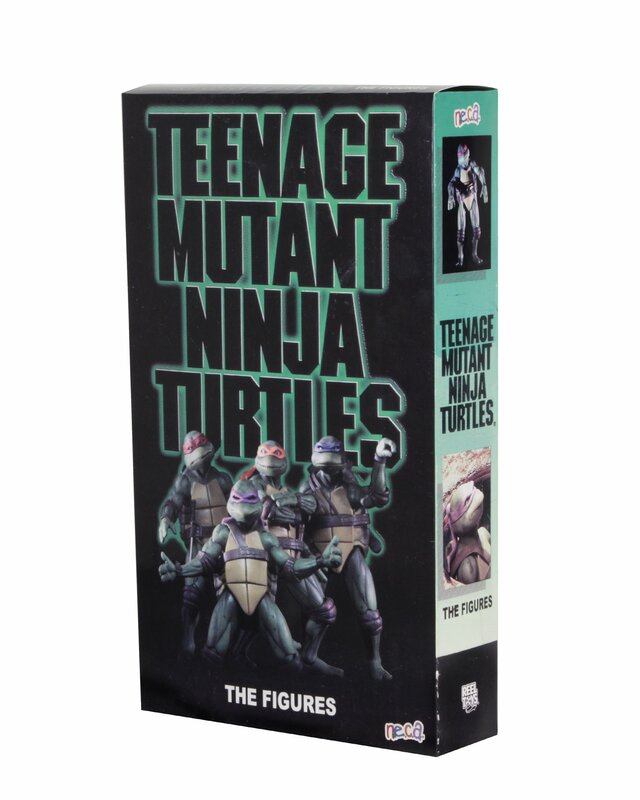 The box looks to be about the same size as one of the trays from the 2017 set. 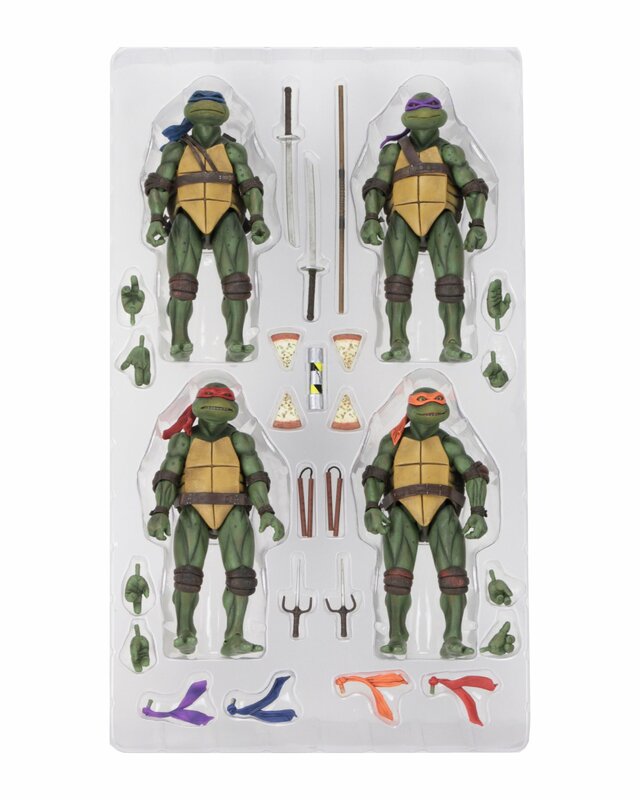 With four figures and their accessories, there was no room for a fifth figure in either tray. 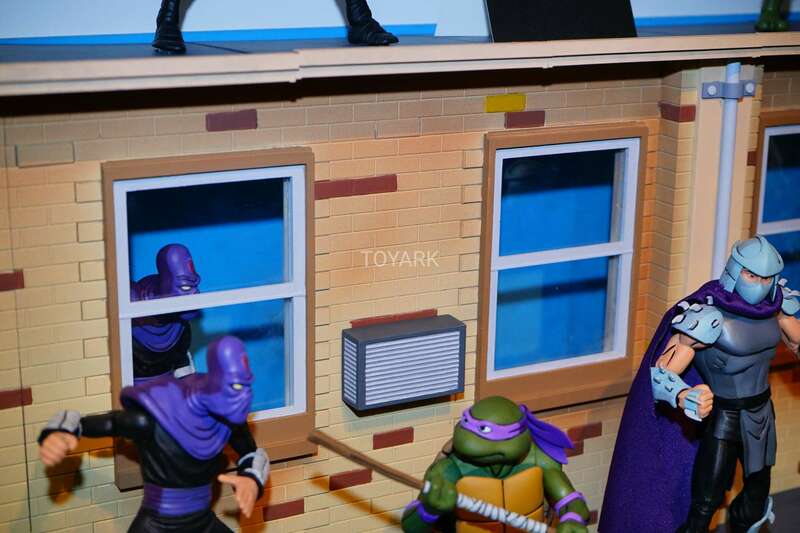 They included diorama pieces with the originals. 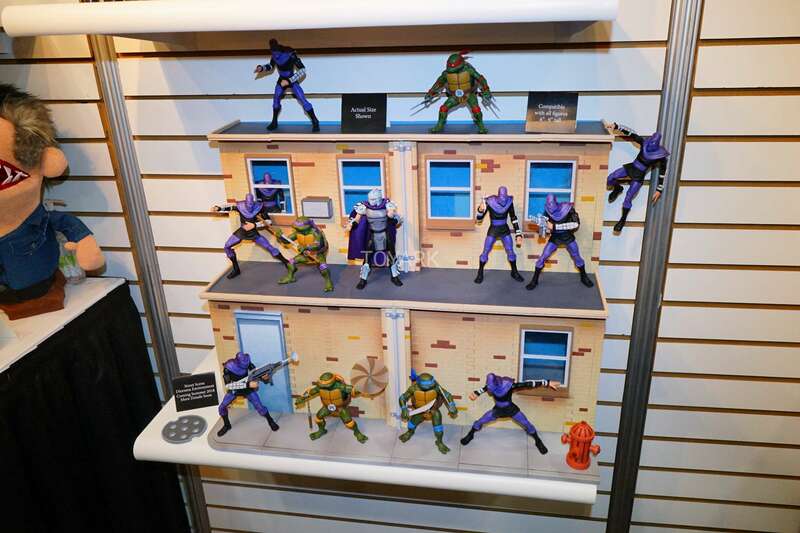 I mean if you look at that dio, it could be broken down to 4-6 flat pieces per level, I think it could fit. 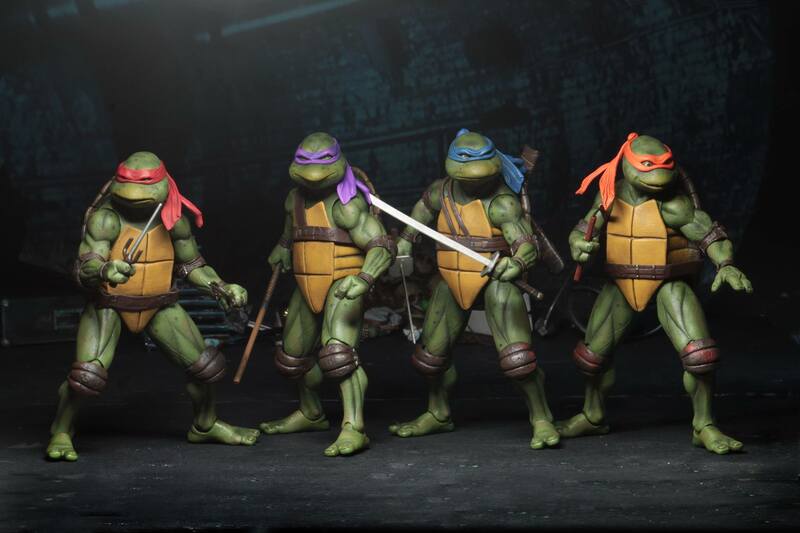 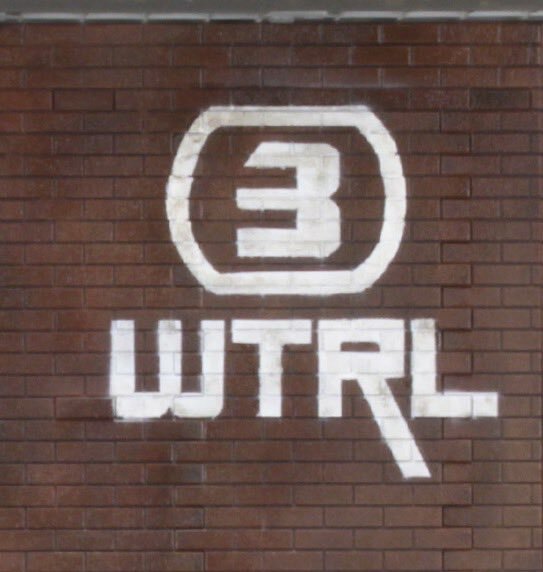 I�d be surprised if they only release 4 turtles. 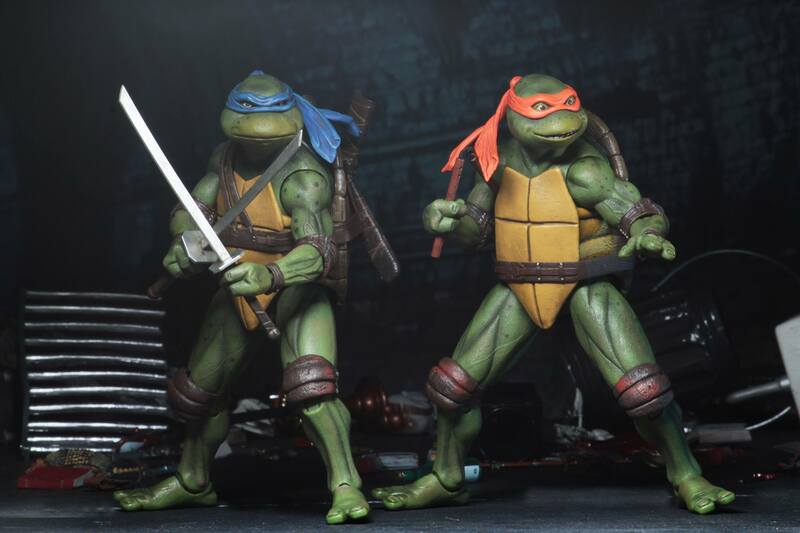 I would imagine they would want to hit close to a $200 price point like they�ve done the last 2 SDCC exclusives. 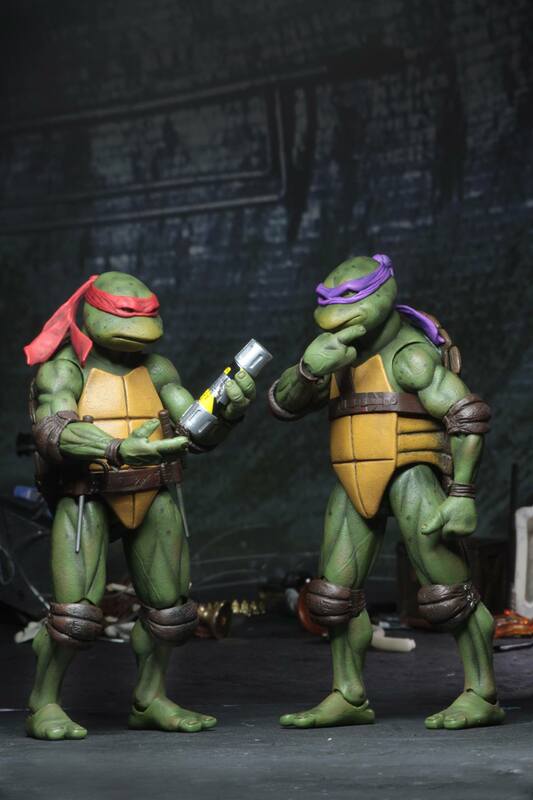 I�d be surprised if NECA doesn�t have the likeness rights already. 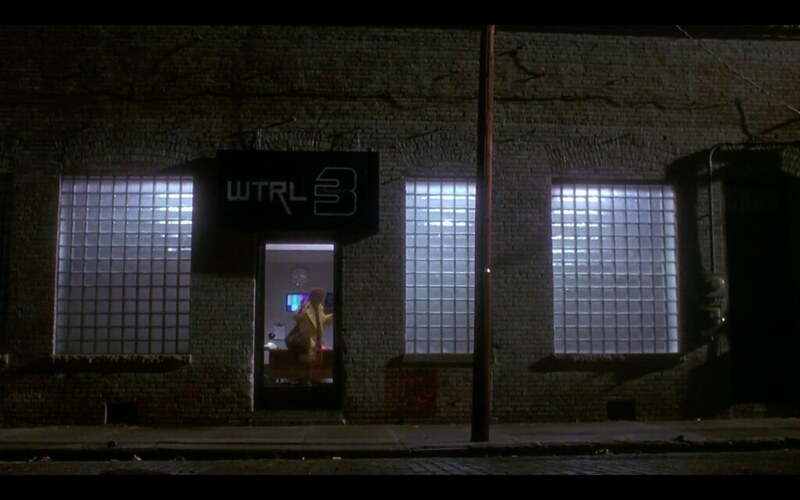 For some movies. 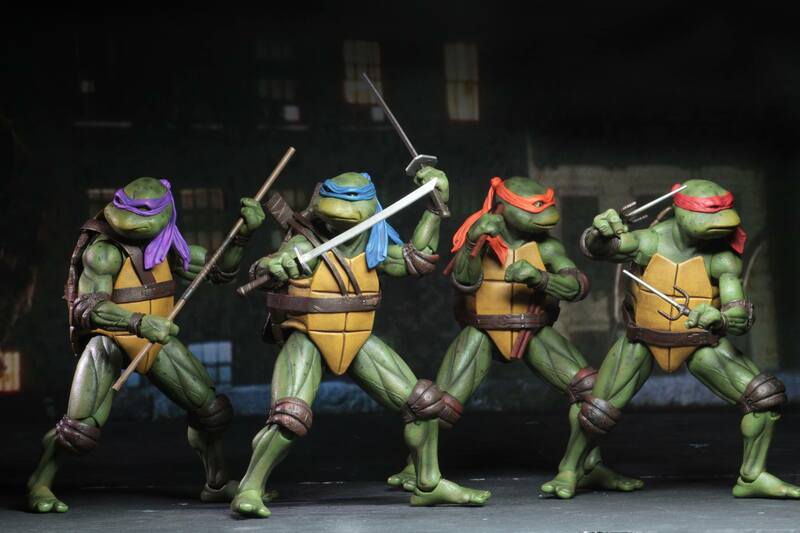 they actually get a bunch of likenesses, like Terminator. 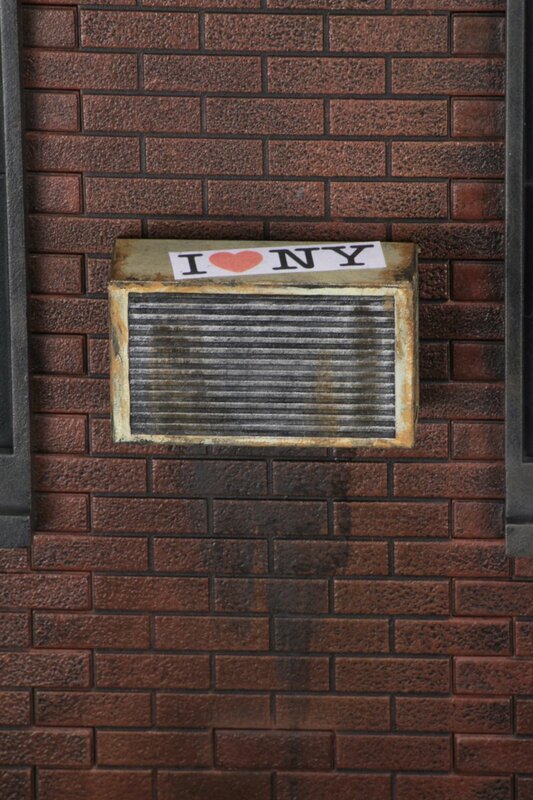 Okay... 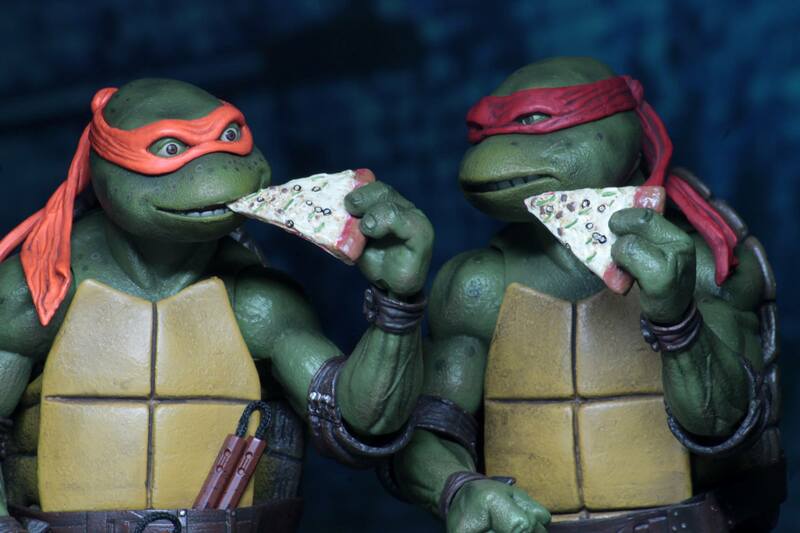 I NEED these. 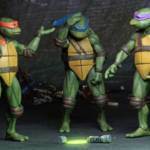 They better not be impossible to get, though I�m sure they will.